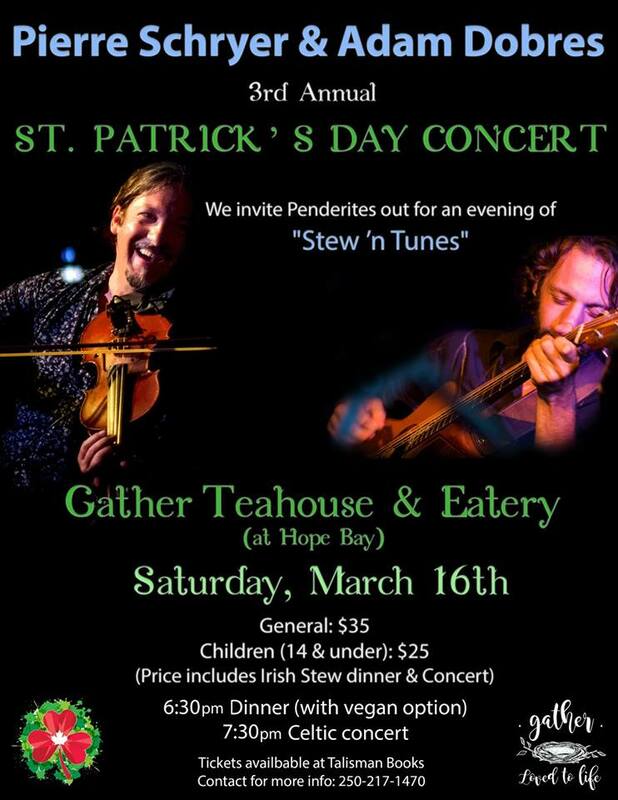 This phenomenal trio of Celtic musicians features Franco- Ontarian fiddler Pierre Schryer, Canadian folk music specialist Andy Hillhouse, and European influenced BC guitarist Adam Dobres. A tour de force of versatility, fine musicianship and technical dexterity, the group brings together three diverse music careers laden with awards and nominations including JUNO, Canadian Folk Music, Western Canadian Music Awards and Grammy Awards. They first appeared as a trio on Pierre’s 2008 recording release project “Mélange,” and continue to appear as individual artists on national and international festival stages from the Pacific to the Atlantic and beyond.